Throughout the ages and around the globe, history has been shaped by those who dared to defy. Four UW faculty members shine a spotlight on those who challenged gender expectations and changed the cultural landscape. Wednesday evenings, Jan. 9–30. All lectures begin at 7:30 p.m. and will be held in Kane Hall 130 (directions and parking information). Video will be posted after each lecture; watch the lectures as they are released here. The 2019 History Lecture Series speakers have each selected short lists of books and other media to enhance the lecture experience and inspire further exploration. 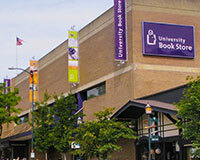 Many of the books are available at University Book Store, where UWAA members enjoy a 10% discount. Download a printable recommended reading list for all lectures here. Wearing men’s clothing protected Joan of Arc on the battlefield and exposed her to charges of heresy in the courts. Urbanski will explore why female saints who dressed as men for practicality and power were celebrated in certain circumstances – and punished in others. Catherine the Great wrested the crown away from her husband to rule over a deeply patriarchal society. Campbell discusses how Catherine used her gender as part of her political persona to attain and maintain power. Be connected. Be a member. 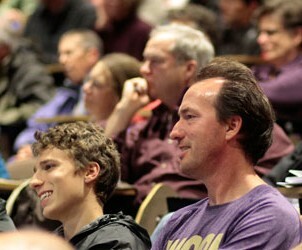 Members get early access and discounted admissions to campus lectures.